A cross industry networking community for bisexual professionals. 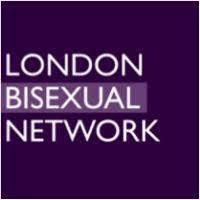 The London Bisexual Network is a professional network catering for those working in the legal, insurance, banking and professional services industries. We aim to provide education and visibility on behalf of the bi communities within the city of London. While primarily focused on the bi community, we welcome individuals from the greater LGBTQ and pan community, as well as allies. Co-chair of the LBN, Netanya Clixby, will be participating in a panel event hosted by EY’s ‘Unity’ and Bi Pride UK to mark Bi Visibility Day 2018. Bi Pride UK is a national charity working to create spaces for celebrating attraction beyond gender. Bi Pride UK is a national charity working to create spaces for celebrating attraction beyond gender. Bi Pride UK are running a variety show fundraiser at the Two Brewers in Clapham; the lineup includes American pop artist Lucy & La Mer on her London stop of her European tour, as well as magic, comedy, drag, jazz and more. All funds raised goes towards putting on the first ever Pride event specifically for people attracted to more than one gender in London next March. Committee member, Sian Jones, wll be speaking at the Stonewall Manchester Conference in late September as part of a panel discussion on supporting bi staff in the workplace. Stonewall’s 2017 staff survey showed that just 16% of bi people were completely out at work. This discussion session will equip delegates with a better understanding of identities that fall under the bi umbrella and the distinct challenges that bi people face in the workplace. LBN will be supporting and contributing to this great event focused on female empowerment and inclusion with key note speakers Inga Beale (CEO Lloyds London), Claire Harvey (CEO Diversity Role Models), Ruth Hunt (CEO Stonewall) and Claudia Brind-Woody (VP & MD Global Intellectual Property Licensing IBM). Come over and say hello to us at our stand and look out for our Co chair Fatimat Animasaun who will be one of the many amazing panellists lined up for the day. Workshop themes include Finding your Rainbow Thread – Your Authentic Self, Leadership & Change, Juggling it all – Alternative Parenting, Using your voice – Allies in and out of the LGBTQI+ community and Bouncing Back – Wellbeing and Mental Health.